April 20 - Girard Easter Egg Hunt on the Courthouse square. Organized by Celebrate Girard! Events Committee. Ages 10 and under. Congratulations to Leah D. Smith Agency on the opening of their new Girard location. 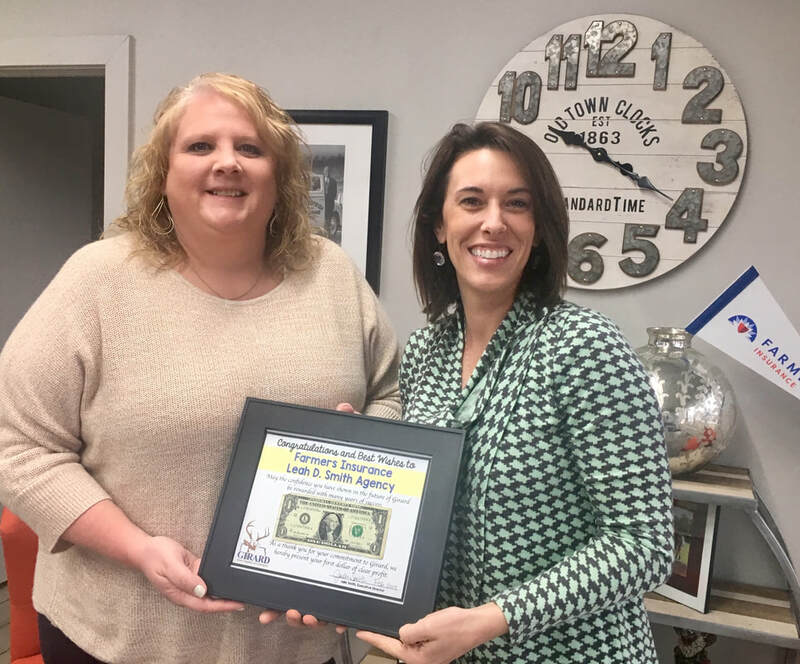 Pictured above are office manager Amber Smith and owner Leah Smith. 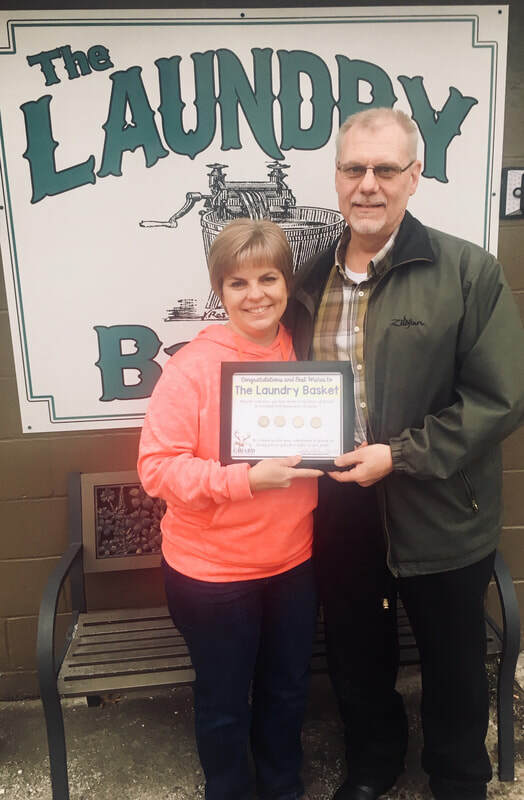 ​A ribbon cutting was held The Laundry Basket on March 1st. Congratulations to the Duling family on their new adventure! Thank you to Joe & Emily Allen with Bender on 7 for hosting a Chamber After Hours event on Jan. 30th. Free alcohol tastings and food too! Yum. A ribbon cutting was held at Harmon's Barber Shop on Jan. 28th. Congrats to Luke Harmon on your new business located on the North side of the historic Girard square! 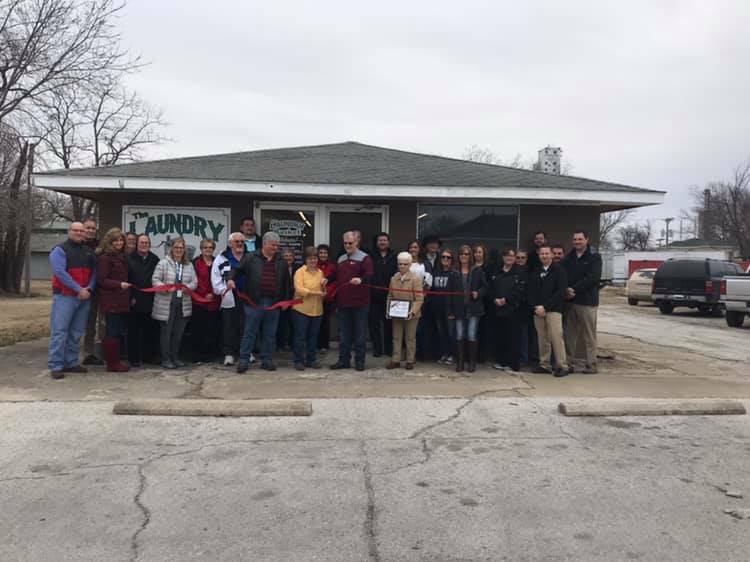 A ribbon cutting was held on Jan 17th at Darrell Westhoff's new insurance located on the North side of the square. **Note the special Chiefs ribbon used! ** GO CHIEFS!